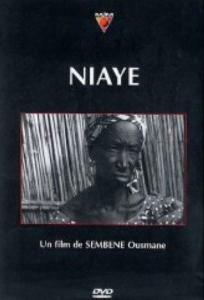 Niaye is a short film about a young woman whose pregnancy scandalizes her community. Though a visiting worker is accused of impregnating her, the father of the young woman’s baby is, in fact, her own father. The community makes an effort to keep the scandal hidden from the French colonial administration. Dovey, Lindiwe. "Subjects Of Exile: Alienation In Francophone West African Cinema." International Journal Of Francophone Studies 12.1 (2009): 55-75. Academic Search Premier. Web. 7 Apr. 2014.